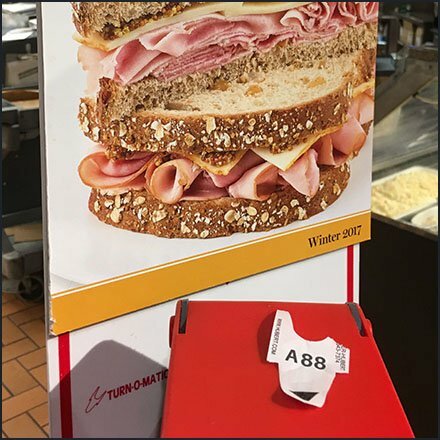 With customers diligently hunting for it, this Queue Ticket Dispenser Advertises Deli items and will automatically target readers ready to buy what you have to sell. Here Honey Ham being sold by an illustration of a huge ready-to-eat Dagwood Sandwich. I normally slice to eat the halves separately, but do feel free to stack like this, if you prefer. This Queue Ticket Dispenser Advertises Deli idea brought to you by Wegmans.